If a workbook contains many sheets, it can be difficult to select the sheet that you want to use. The following technique creates a floating toolbar, that you can open in any workbook, and create a list of sheets in that workbook. The sheet navigator toolbar also includes a button that sorts the sheets in alphanumeric order. Select a sheet from the dropdown list, to go to that sheet. First, you'll create a new workbook, to store the code that builds the sheet navigator toolbar. Press Alt + F11, to open the Visual Basic Editor (VBE), where macros and user defined functions are stored. Find your new workbook in the list. For example, if your workbook is Book3, it will appear as VBAProject (Book3), as shown at right. In the code window that appears on the right hand side, paste all the code that's shown below. Store the following code on Module1. .Caption = "Refresh Worksheet List"
.OnAction = ThisWorkbook.Name & "!refreshthesheets"
.OnAction = ThisWorkbook.Name & "!changethesheet"
.OnAction = "'" & ThisWorkbook.Name & "'!SortSheets"
MsgBox "Please select an existing sheet"
Insert another module, and store the following code on Module2. MsgBox "Please unprotect this workbook's structure and try again"
' "Numerical Recipes in C", 2nd edition, Press et al. 'increasingly worse as the array size increases. First, you'll save the sheet navigator workbook as an Add-In, and make it accessible from other workbooks, as you work in Excel. In the VBE, choose File | Close and Return to Microsoft Excel. From the Excel menu bar, choose File | Save As. 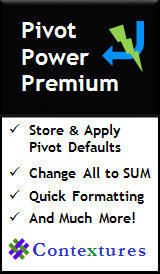 From the Save as type dropdown, choose Microsoft Office Excel Add-In (*.xla), at the bottom of the list. Your AddIns directory will automatically be selected, e.g. C:\Documents and Settings\Contextures\Application Data\Microsoft\AddIns. Click the Save button, to save the file. Next, install the Add-In, so you can use the sheet navigator in any workbook. 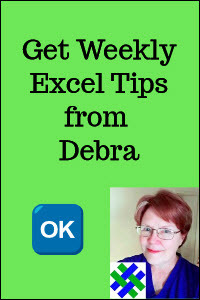 From the Excel menu bar, choose Tools | Add-Ins. Find your Add-In in the list, and add a check mark to its name. Click OK to close the Add-Ins dialog box. The myNavigator toolbar should appear, floating over the worksheet. You can drag it to another position, if you prefer. Click the Refresh Worksheet List button, to create a list of sheets in the active workbook. From the dropdown list, select a sheet, and that sheet will be activated. If you switch to a different workbook, refresh the list to see the sheet names for that workbook. Download the zipped sample Excel 2003 sheet navigator file.